From puppets to posters, buttons have been a part of arts and crafts since, well probably since they started falling off of clothing. Now, lucky for us, we don't have to wait until our shirt or pant buttons pop. 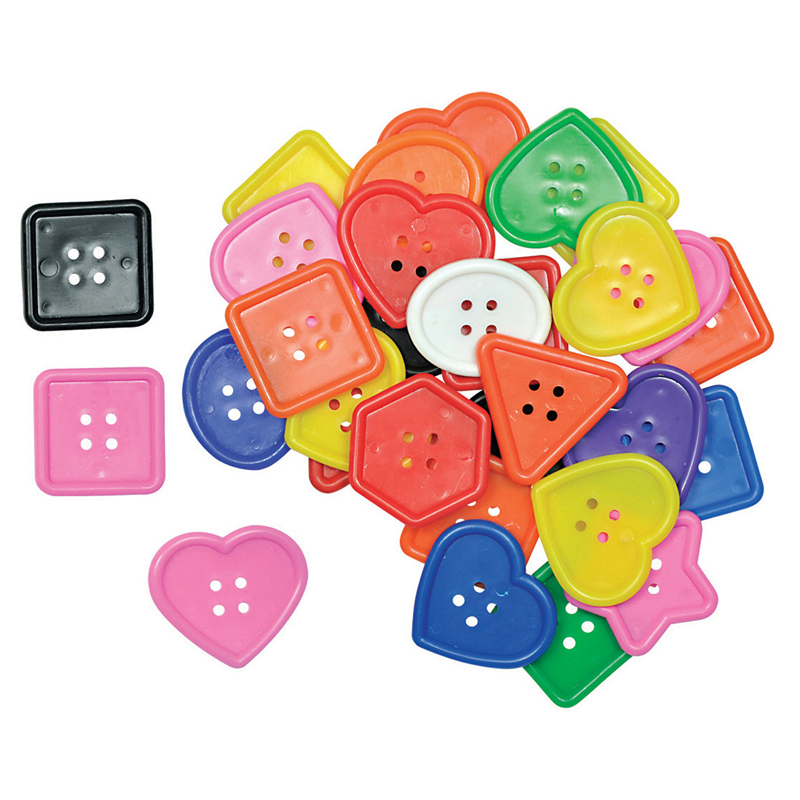 Hygloss has craft buttons by the bucket! 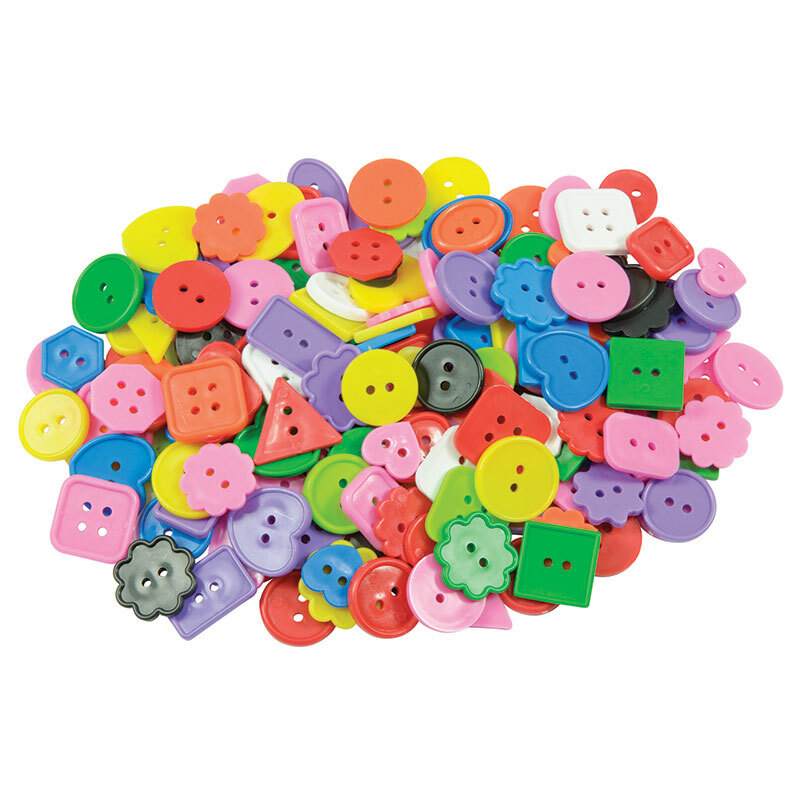 Our buckets contain a wide variety of colorful buttons in an assortment of shapes, colors and sizes, all the ideal supply for hundreds of arts and crafts ideas. Our high quality craft buttons will add pizazz to any project. Sold as a pack of 3 - 16oz. buckets for a total of 48oz of buttons. 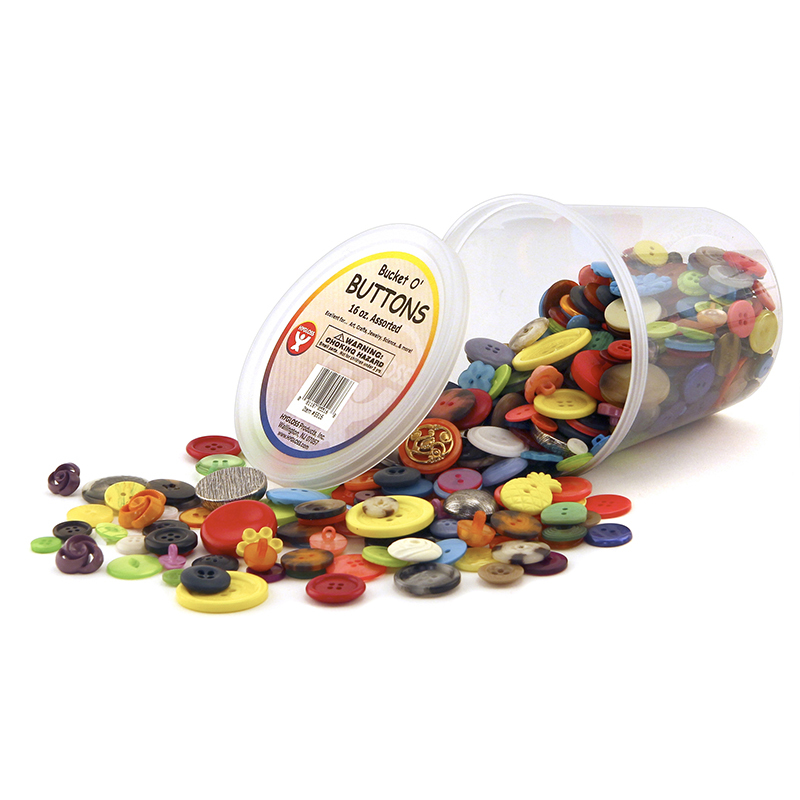 The (3 Ea) Asst Buttons 16oz Bucket can be found in our Buttons product category within the Arts & Crafts.